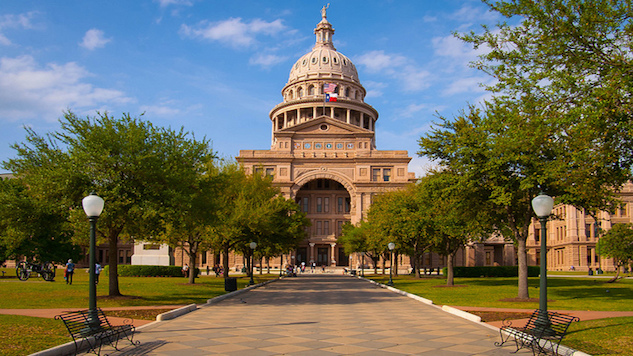 Last week, the Texas senate passed a bill that has earned legislators criticism from reproductive rights activists, pro-choice politicians and advocacy groups alike. The bill—which will now move to the state’s House of Representatives for a vote—prevents patients from suing their doctor if their child is born with a disability, a measure critics say could result in doctors lying to their patients in order to deter them from getting an abortion. The idea behind this critique is fairly simple: pro-life advocates worry that if the so-called “wrongful birth” bill becomes a law, doctors will use this newfound legal immunity to withhold information about the health of their patients’ babies, perhaps due to religious regions or an ideological opposition to abortion. For example, if an anti-abortion doctor is concerned that an unborn child may potentially have a disability, they could avoid prenatal testing or provide misleading information in a way that could sway their patients’ decision-making. However, proponents of the new measure say this is an exaggeration, with Republican state senator Brandon Creighton even referring to a Huffington Post article about the bill as “fake news.” Additionally, those who support the wrongful birth bill point out that patients can still bring forth lawsuits against their healthcare provider. "It is unacceptable that doctors can be penalized for embracing the sanctity of life,” Creighton said in a press release where he initially introduced the bill last November. In contrast, those against the bill see it not only as a potential threat to the accountability of physicians, but also as an attack on women’s reproductive rights. ”[This bill] is another thinly veiled attempt to prevent Texans from accessing their constitutional right to abortion,” Heather Busby, executive director for NARAL Pro-Choice Texas, told the Huffington Post last week. It’s unclear exactly when the state House will make its decision on the bill. If passed, the bill would go on to Texas governor Greg Abbott for approval. Dillon Thompson is University of Georgia student and freelance writer with a love for travel and an addiction to coffee and hip-hop music.